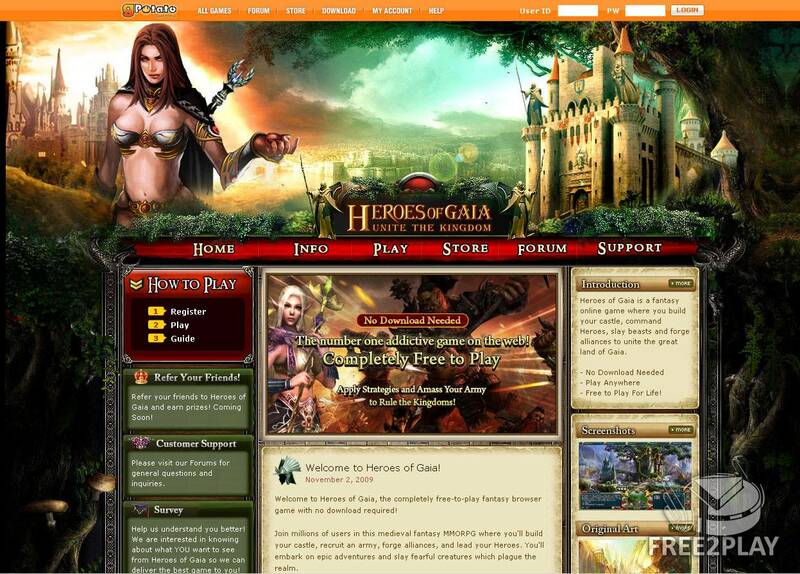 Heroes of Gaia is an innovative browser roleplay mmo that combines the social environment and fantasy-based excitement of the best online universes with strategic gameplay inspired by the legendary classics of PC gaming. 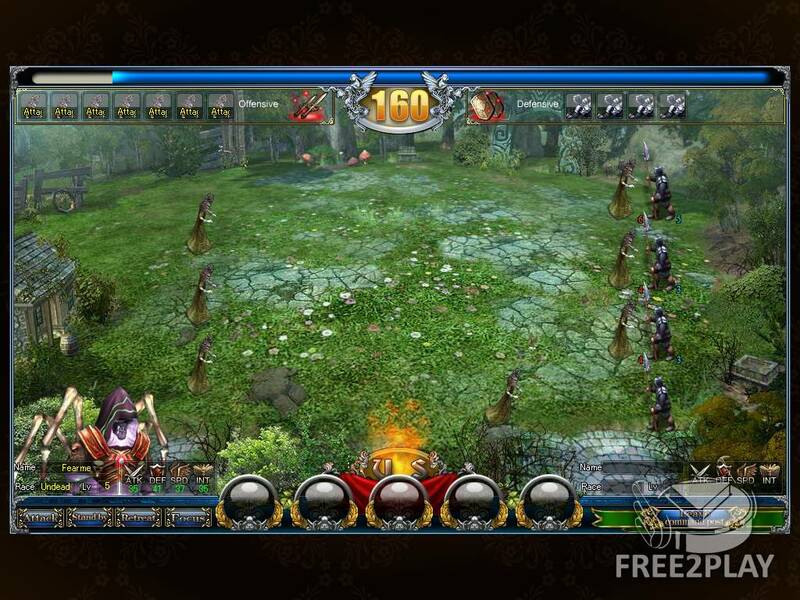 Based on classic strategy game concepts that pioneered in legendary PC strategy titles, Heroes of Gaia puts you in the shoes of one of the four factions (Humans, Elves, Orcs or the Undead), where you will build castles, recruit mighty heroes, quest for magical items, summon up devastating armies and rampage across the land battling against players and NPCs alike in thrilling strategic combat to dominate the kingdom of Gaia. Most of the Elves live in Forest, north of the Land and have established a country, Avily, together with the Humans. The they don't like compete with others makes the Elves in a infavourable position in the political struggle with the Humans. Most elves live in the upper layer of the society in Avily. After the War of Recovery, some elves occupied Wilnin, northern border with Alasia and declared independence, which made Alasia and Avily sent out troop together to Wilnin. The strongest country on the whole land, Alasia, the Kingdom of Humans are located on the plain in the central western part of Antagarich. The War of Recovery broke out after Grivonhart, the former king of Alasia was killed. Though winning the final victory, Alasia was severely destroyed and declined rapidly. As a result, some previously weak races such as the Elves and the Orcs started to revolted against the reign of the Humans. The ancestors of the Undead are wizards who tried their utmost to learn dark spells. Later, they left due to discrimination, entered Avily, seized some land there by the use of forces and established their country, Deca. During the War of Recovery, Wilma, leader of the Undead, fell in a plot. The defeated Undead fled back to their own territory after the War and the Human, didn't have the ability to continue their attack. Meanwhile, among the Undead, there is an ongoing competition for the throne. Undead wizards believe that no matter who gets the throne, the Undead will become stronger rapidly. The orcish kingdom is called Crewrod. The Orcs had their golden age long time ago. It is said that most land of Entagarich belonged to Crewrod at that time. After the rise of Bracada, however, the Orcs was reigned by wizards. Afterwards, under the leadership of Tannon, the Orcs launched the War of Independence and overturned the reign of Bracada. Later, Crewrod had to swear fealty to Alasia due to the prosperity of the latter and the death of Tannon. Crewrod was always a colony of the Humans before the War of Recovery. During the War, the Orcs defeated the marsh race and obtained control of the western area of Alasia, gradually recovering their past glory. - Play immediately, no downloads!